In 2014 UHArts launched its first theatre commission - Sparks Might Fly. The project invites theatres companies to work with researchers at the University of Hertfordshire, interpreting their findings for young audiences across the UK and using the power of theatre to make world-class academic research accessible to all. UHArts’ first commission was awarded to Newcastle-based Cap-a-Pie. Our production The Important Man explored the role of fortune tellers in the First World War, and was inspired by the research of Professor Owen Davies of the University of Hertfordshire and the Heritage Hub. In this unique one-man show, actor Brad McCormick plays several roles in a participatory piece of theatre which explores notions of belief and changing public attitudes. In Autumn 2016 UHArts ran a week-long tour of the production which travelled to secondary schools across Hertfordshire. In Spring 2015 UHArts and the Heritage Hub launched our second Sparks Might Fly commission with Contemporary aerial theatre company Upswing. Upswing were Inspired by the academic research of Doctor Theo Gilbert from the school of Humanities which explored the science of compassion and its role in creating a cohesive learning environment in the higher education sector. 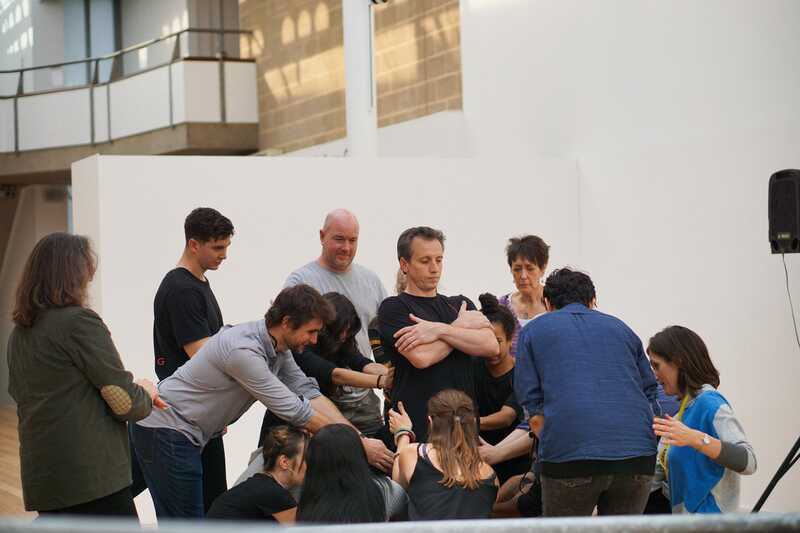 Using the inherent risks of circus and the role of trust in the art form, Upswing were able to translate Theo’s research into short performances involving both staff and students. Upswing - Interview with Upswing from School of Creative Arts on Vimeo. 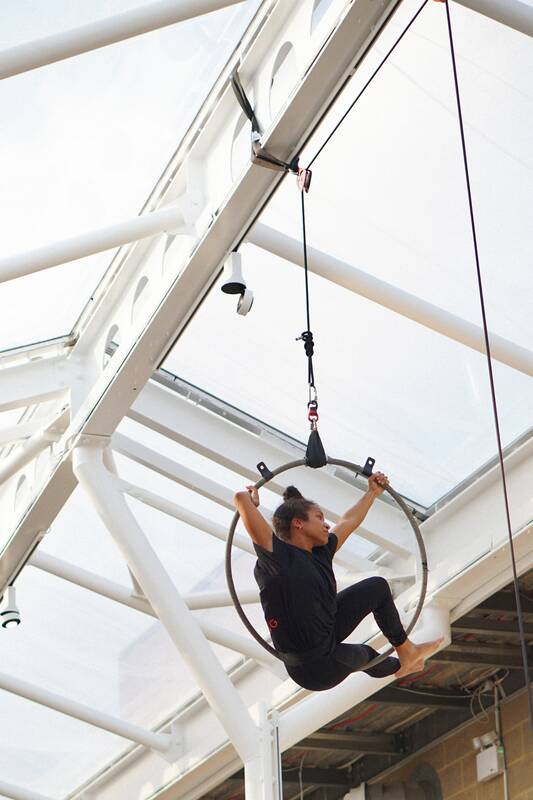 ‘The aim of this project is to find the physical metaphors; moments of real risk, risk sharing and trust building which are inherent within Circus and utilise them to illuminate the perceived risks we take whenever we reach out to others for support’. During our Partnership, University of Hertfordshire students, school students and UH staff were offered some unique experiences to interact with the performers. Following the four year collaboration Upswing’s work with UHArts has been edited into short films which are now used as a learning and teaching tool at the University of Hertfordshire. UHArts are committed to supporting to the creation of new work in all art forms. And to bringing together the highest quality artists and research excited about future collaborations.